“Low carb” is now a household phrase. For those in the know it means two things: lose weight and get in shape. People sing the praises of this diet because it seems to work well. It sounds easy enough: eat fewer carbohydrates (low carb) and lose weight. But, how does a low carb diet work? First of all, when you remove carbohydrates from your diet, you drop tons of calories from your food intake. By eating less and reducing calories you lose weight. Next, by eating fewer calories and omitting the starchy and sugary carbohydrates you usually eat, your body adjusts. Your body begins to break down glycogen in the liver and muscles to obtain glucose for energy. Glycogen? Glycogen is glucose stored in the muscles and liver. It contains a lot of water. By converting it to glucose that water is released. The initial weight loss is mostly water but this can be a substantial amount of weight. After two weeks, the extreme weight loss slows because it was primarily water from the converted glycogen. This is when your body starts burning fat instead of releasing water. Keep your carbohydrate intake lower than 50 or 60 grams daily. For the rest of the diet your body burns fat as fuel. Ketones are produces when your body burns fat for fuel. What are Ketones? Ketones are a byproduct from the process of burning fat. Ketones are released from your body through your kidneys. When your kidneys have an increase in ketone level, your appetite is suppressed. This helps you to lose more weight. It is very important to drink a lot of water during this phase to prevent dehydration. This diet plan is not for everyone. 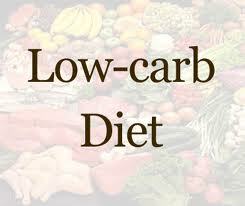 How long you remain on a low carb diet is your personal choice. You should confer with your healthcare practitioner before you begin such a sudden change in your eating habits as part of your weight loss plan.